Last night the first of a series of public hearings was held to debate the proposed $500 million mega-casino development on the land adjacent BC Place. The meeting, which began at just after 7:30pm, was preceded by a rally, organized by ad-hoc community group Vancouver Not Vegas. 163 people had signed up to give delegations, but only 11 had time to speak after presentations by staff and project proponents, and questions from Councilors. The majority of the over 300 people present were against the project, but a contingent of union workers wearing yellow “Save our Jobs” shirts, who arrived in charter buses, also filled the council chambers. Representatives of the NPA and COPE were both also present. There were already signs that the casino issue might split the Vision caucus, who have until now voted as a bloc. The second hearing is being held tonight. The speakers list has now grown to 181. The meetings will then reconvene next Monday, March 14th at 6:30pm in the Council Chambers at City Hall. Despite what some have called a “seriously flawed process,” Vancouver City Council has voted to accept the Metro Vancouver Regional Growth Strategy (RGS). The policy transfers what are now municipal land-use powers to the un-elected Metro body. The plan replaces the Livable Region Strategic Plan and will stand in effect until 2040. It was opposed in Vancouver by City Councilors David Cadman and Suzanne Anton, with Cadman arguing that it confuses what is now known as the “green zone,” and Anton arguing that it gives up too much municipal rezoning power. Critics are concerned with the public consultation process. 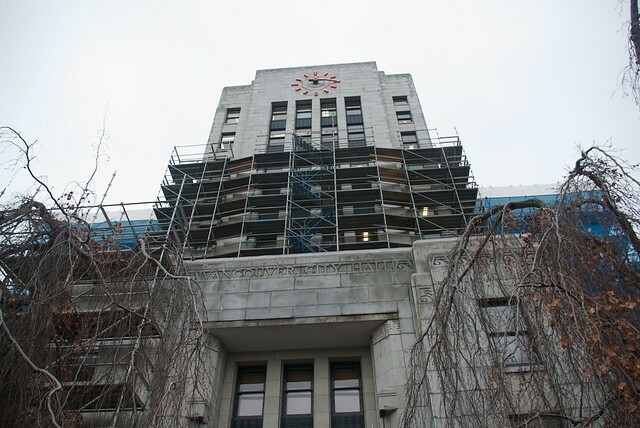 While proponents of the plan argue that the public was engaged over a course of five public hearings, none of the hearings were held in Vancouver. The RGS is a complex plan that many say the public has not had time for it to digest. Some fear the the RGS will undermine the Agricultural Land Reserve, as well as allowing a general loss of green space throughout Metro Vancouver. The strategy allows for the elimination of some of the reserve, pending approval from municipal councils. A more comprehensive summary of the issues surrounding the policy are available here. The first public consultation for the 26 story Rize development that is proposed to be built on the South-West corner of Broadway and Kingsway. The consultation will be held on Sunday, March 20th at the Native Education College (285 East 5th Ave). The meeting will begin at 12:00pm with the doors opening at 11:30am. Community groups are already mobilizing in opposition of the tower, with posters popping up around Mount Pleasant urging residents to attend the consultation. Condo marketer Bob Rennie claims to have sold 128 of 230 condo units up-for-grabs in the latest round of sales at the Olympic Village. 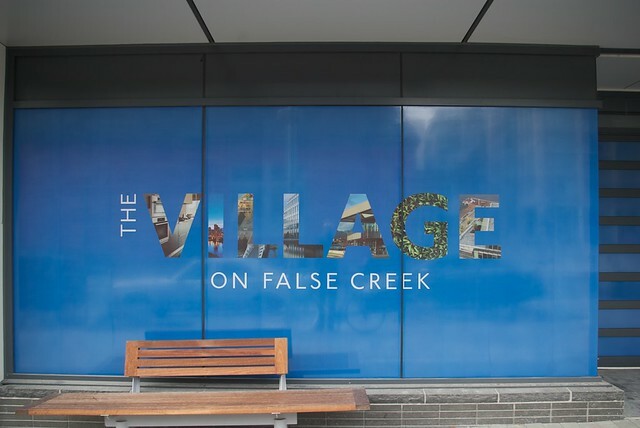 Similar to last week’s re-launch of the The Village on False Creek, where Bob Rennie hired people to wait in line at the sales centre, Rennie’s press conference earlier today was a charade. Again this week, people were “hired by the realtor,” according to one hiree (see video here). Rennie’s strategy was quite simple: over the past few weeks and months, he asked his speculator and real-estate agent friends how much they would be willing to pay for some units. Then, he convinced the City to let him sell-off 230 units at a discounted price to his speculator friends (who will not live in them). Then he planned to announce the sales as though these were actual families buying the units. This ruse was the only way Bob Rennie could convince the public that the units were still viable as luxury condominiums. But the condo units, two thirds of which were promised to Vancouver’s poor as part of the Olympic housing legacy, will remain empty. Rennie’s hope is that the hype will “lift the fog” from the “ghost town,” and that actual residents will then purchase the units now owned by Rennie’s speculator friends. Eventually, if people move into the units, Rennie can try to sell the remainder of the units not-yet on the market. To reinforce the hype and create headlines, real-estate agents were paid to wait in line outside the sales office last week. Last week a similar attempt to use the media to draw interest in a real-estate development in Burnaby was called out. Last month City Council adopted the Mount Pleasant Community Plan (MPCP). The MPCP, the culmination of three years of community feedback and consultations, is the first city-sponsored community plan for the area since 1989. Many residents of Mount Pleasant are concerned about what is happening to their neighbourhood – and with good reason. There have been significant demographic shifts since the last census was performed in 2006. 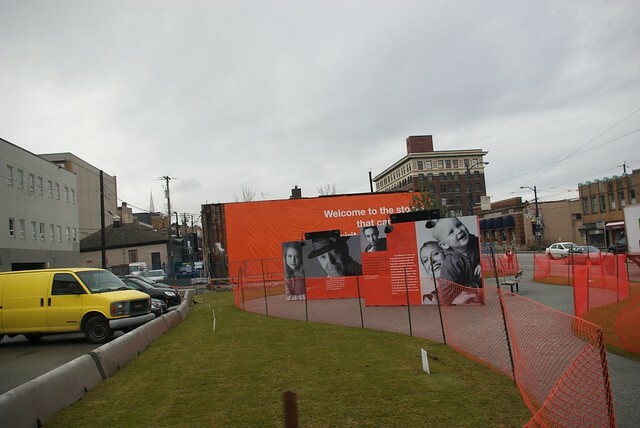 Condos have been popping up along Kingsway, Broadway and Main. Mount Pleasant is a traditionally working-class neighbourhood, the average income in Mount Pleasant being thousand dollars below the citywide average. 23% of people living in the neighborhood are low-income and 67% in the neighborhood are renters. Mount Pleasant residents have been becoming more active in recent months – many concerned about gentrification and affordability, others concerned about height of new buildings in the abstract. 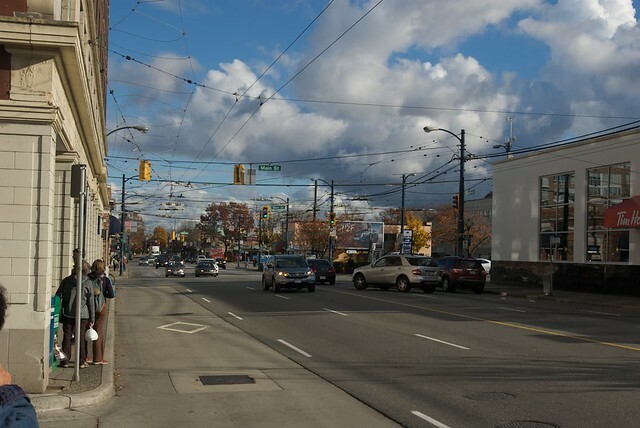 This summer, these issues came to the surface in a debate about a development at one of the area’s hubs – a social housing and rental development project at Broadway and Fraser. The City Council meeting dealing with the rezoning had to be extended to three days to accommodate the more than 70 speakers. Some members of the community argued that the proposed 11 story development was too tall, where others argued that the neighbourhood is in dire need of more rental and social housing units. In the end, the project was approved with minor adjustments. The MPCP passes over many of these issues, and attempts to reconcile the wishes of existing residents with developers’ desire for increased density. There is a new massive condominium development planned for the South-East corner of Broadway at Kingsway. The building that is set to fill the corner is a 26 story mixed-use development that some have said will “remake the neighbourhood.” It will be designed by Acton-Ostry, who designed the smaller scale Stella up the street on 12th. Units in that development started at around $380,000. According to most recent census data, the median house-hold income is about $10,000 less that the city’s average. It is likely that it will not be current residents of Mount Pleasant who will fill the condos. While there have been quite a few developments in Mount Pleasant over the past few years, all have been on a much smaller scale. In fact, June of this year saw three nights of council meetings discussing a project about half the size on Broadway and Fraser. Residents said they didn’t like the scale and volume of that project, which was only 11 stories. In an attempt to win over the Mount Pleasant community, Rize Alliance Properties has set up a small park and Christmas tree on the south-west corner of Broadway and Kingsway. Early on Friday night there was a tree lighting ceremony, which featured local children singing Christmas carols and members of the Mount Pleasant Community Police handing out hot-chocolate. The president of the Mount Pleasant Business Improvement Association was out talking to members about the future project, even describing it as a reassuring “mid-rise” tower. The lot where the park sits was cleared by a fire on Christmas Day of last year. Many low-income artists lost their studio space and there was a very sympathetic reaction in the community. The development that is set to fill the corner is a 26 story mixed-use development that some have said will “remake the neighbourhood” . It will be designed by Acton-Ostry, who designed the smaller scale Stella up the street. Units in that development started at around $380,000. According to most recent census data, the median house-hold income is about $10,000 less that the city’s average. It is likely that it will not be current residents of Mount Pleasant who will fill the condos.